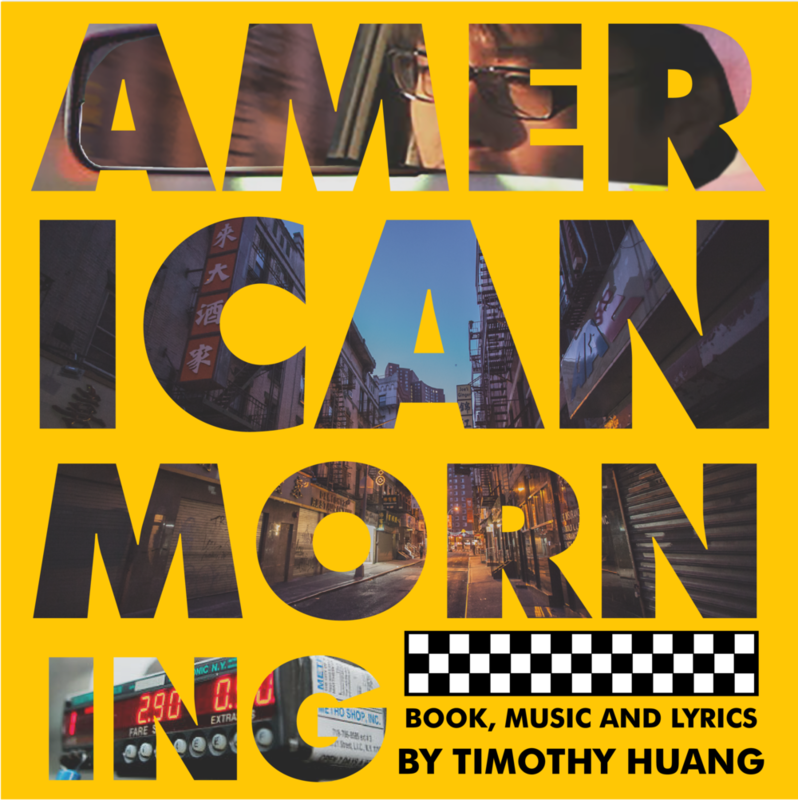 Formerly known as Costs of Living, American Morning is a full length musical that tells the story of two immigrant cab drivers, Chin and Eng, who share opposite shifts off the same medallion. While Eng slowly climbs the ladder of success by day, his partner Chin, falls short by night, suffering disappointment after unforseen disappointment. The two men’s fates become intertwined as forced competition drives a wedge between them that culminates in a single, desperate act that leaves one dead and the other brutalized. American Morning was the recipient of a 2016 Richard Rodgers Award, a 2015 B-Side Theatericals New American Musical award, and an official selection of the National Alliance for Musical Theater's Festival of New Works in 2015. American Morning was inspired by a 2009 New York Times article written by Corey Kilgannon and was later featured in the NYT City Room Blog as well. It was a selection of the ASCAP Musical Theater workshop in 2011 as well as the Lehman Engel Musical Theater Workshop's 2012 Master Class, moderated by Stephen Sondheim.